If you've ever spent a day in stilettos, then you know exactly why so many people love Crocs. Since 2002, the company has expanded to include over 300 styles for men, women as well as kids, and is sold at physical Crocs locations, online at Crocs.ca and through authorized sellers like The Bay, Softmoc, Sears, Globo Shoes and many others. Crocs.ca has frequent sales that get shoppers percentages off their purchase. 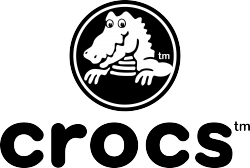 The sales range from discounts on specific Crocs shoes (i.e. 15% off boots) all the way to site-wide discounts and discounts on already-reduced merchandise. Like most footwear stores, Crocs.ca sees the best discounts at season's end. Seasonal footwear is frequently reduced by as much as 75%, so be sure to grab those kids' Crocs boots in a size up for next winter. To get updates on seasonal discounts, subscribe to the Crocs.ca email newsletter or follow the company on social media. Cash discounts when you spend over a specified amount at Crocs.ca and apply a Crocs coupon code at checkout. Site-wide discounts when you use your Crocs Canada coupon. Cash or percentage discounts on specific items with the use of a promo code. Extra discounts in the Crocs outlet section when you apply a code. Crocs.ca only offers free shipping on orders over $100, so be sure to watch for those free shipping promo codes if you aren't planning on making a large purchase. Click on your deal and copy the Crocs coupon code before heading over to Crocs.ca. Shop the Crocs store for comfy styles and remember to check the sale section for those Crocs deals! When you're done shopping, head over to the checkout area by clicking on the cart icon at the top of the page, paste your copied Crocs code into the "Enter coupon code" field and click "Apply". Shop online for the best in Crocs footwear. They’ve got comfy and colourful shoes for the whole family. They even offer different styles including boots and sandals.